measured by professional timing equipment. Yerevan Spring Run is a charity running event organized in Yerevan at the end of April - beginning of May. Organizers of the event include Arm Marathon Foundation, Armenian Mothers NGO, Yerevan City Administration. 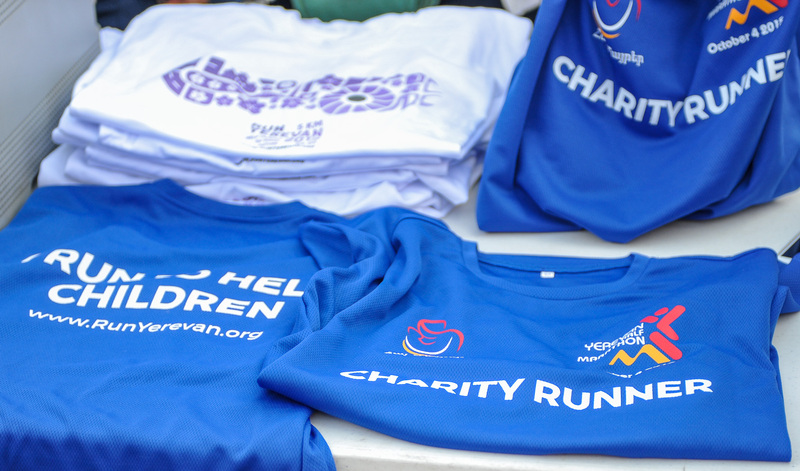 All profit of the Yerevan Spring Run are donated to Armenian Mothers NGO, a non-profit organization, helping children with cerebral palsy and their families. In 2019 all profit will be donated to purchase rehabilitation furniture for children with cerebral palsy who live in regions of Armenia. 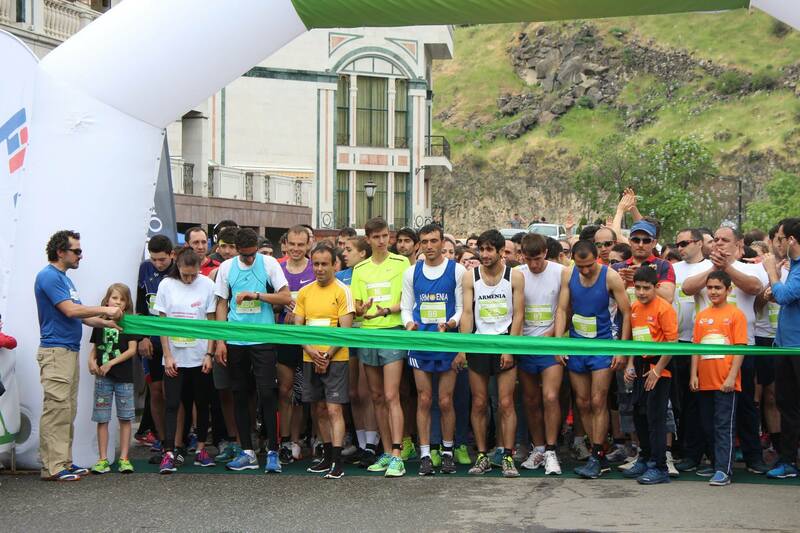 Yerevan Spring Run is organized in one of the most beautiful parts of Yerevan, Hrazdan River Gorge. 5km, 10km and Relay runs are measure with precise timing equipment. Yerevan Spring Run is organized within the city limits of Yerevan, along the Hrazdan River gorge. Altitude of the race is between 970 and 1050 meters. 1km – for participants 3 to 12 years old. Children younger than 7 years old must be accompanied by parents. For age limitation and age group award purposes participant’s age is determined as of December 31, 2019. Participation fee does not cover T-shirt. T-shirt can be purchased additionally for 3000 drams. Entry fees are non-refundable. Participant and distance changes are possible no later April 26, 2019. For changes to smaller distances participation fee difference is not refundable. For changes to longer distances participation fee difference must be paid at the EXPO, or to bank account of Arm Marathon Foundation. For changes and inquiries please email info@armeniamarathon.org. Race Pack pick up will happen on April 27, 2019, 11:00 – 19:00. Location to TBD. Participants must present a valid ID to receive their racing packs. Start Date: April 28, 2019. Hrazdan River Gorge, near Florence Restaurant, Yerevan, Armenia. Finish and Start location are the same. Official Route of the races go along the gorge of Hrazdan river. Water station is located at 5km point for 10km race. Stations serves only water. Medical Aid is available at the Start/Finish area. 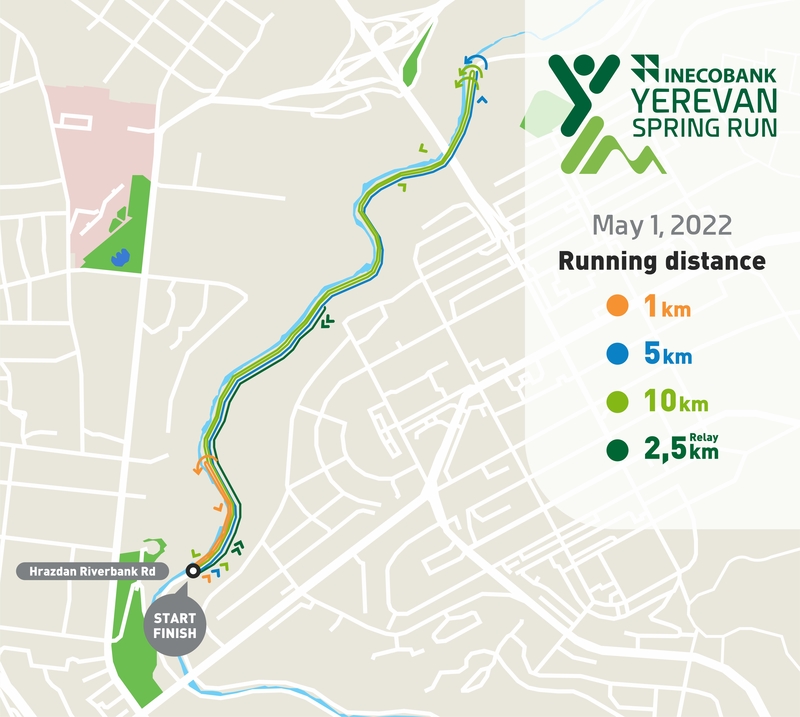 Click here for full Participation Rules of Yerevan Spring Run. IMPORTANT: To receive the racing pack participants must present a valid ID. For underage participants one of the parents must be present and sign a written agreement. 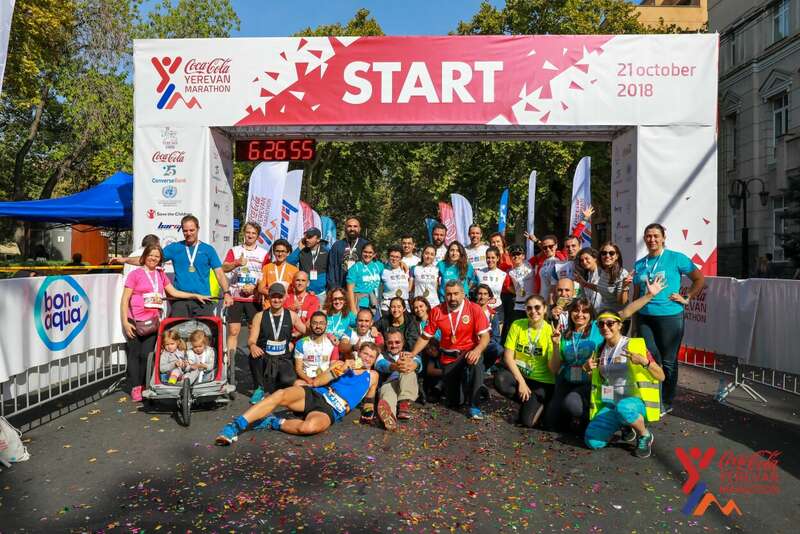 We organize Global Credit Yerevan Spring Run together with "Armenian Mothers" NGO, to help children with cerebral palsy to get necessary medical treatment and rehabilitation. "Armenian Mothers" NGO is operating since 2012 and has helped more than 270 children and their families. The NGO helps by providing special rehabilitation procedures, physical trainings, it provides with special orthopedic shoes and home training equipment to help children develop their abilities. 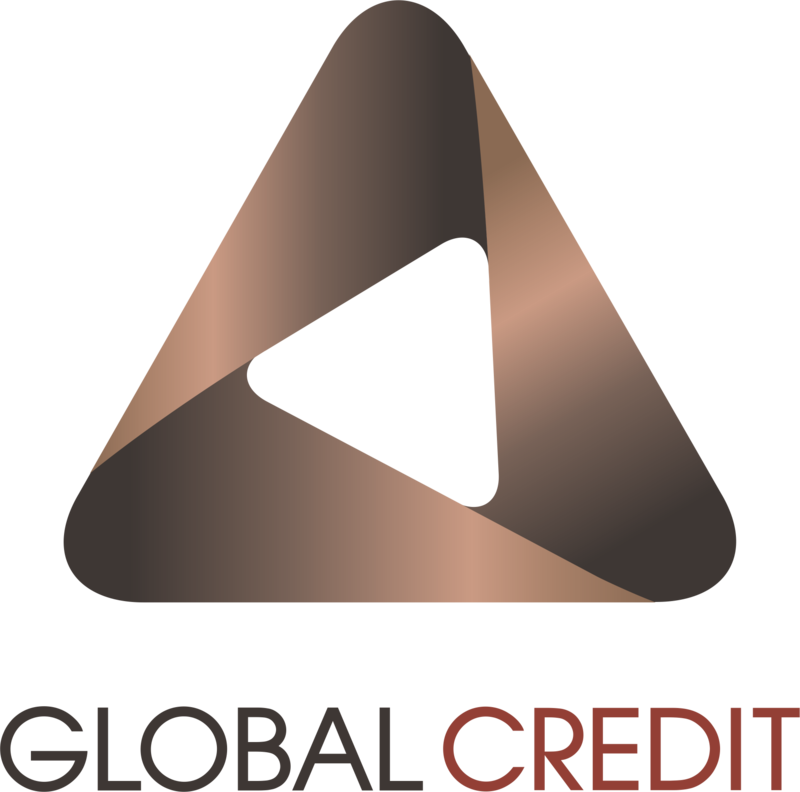 Often such children come from financially disadvantaged families, very often with only one parent, where the parent has to stay home full-time to take care of the child. Armenian Mothers NGO, not only helps with rehabilitation treatment, but also strives to create opportunities for parents to learn new professions and skills, find employment, which they could combine with childcare. The goal of 2019 Global Credit Yerevan Spring Run is to purchase necessary rehabilitation furniture for children with cerebral palsy living in region of Armenia. The Yerevan Spring Run team thanks you for your interest to volunteer in the upcoming race. Let’s make this event a real celebration for athletes, residents and visitors of Yerevan! Every large and small sports event needs volunteers to make it happen, volunteers contribution is priceless. Our race is no exception, we count on many volunteers to help Yerevan Spring Run to happen. If you are friendly and responsible, if you like helping people, and support healthy lifestyle — join us as a volunteer! Based on our experience of previous years we see that many of our volunteers get inspired and run our follow-up races! If you are already into sports but cannot participate in the race this year for some reason, join as a volunteer — you know better than anyone else how important it is to get timely help, a cup of water or a well-deserved medal at the finish line! Each volunteer will receive a volunteer certificate. Yerevan Spring Run is organized by Arm Marathon foundation, Triclub multisport club, Armenian mothers NGO Yerevan City's administration. Our organizational team consists of professional sport event organizers, who are also enthusiasts of cyclical sports and especially running. We love running – this is probably the most important thing about us and we want our city and country to love it as much as we do. 2) we want to help those in need, all our events have charity component in them. 3) we want to bring more tourists to Armenia by offering exceptional service, through world class event organization and management. OUR LIFE, OUR LATEST NEWS. ALL ABOUT RUNNING.